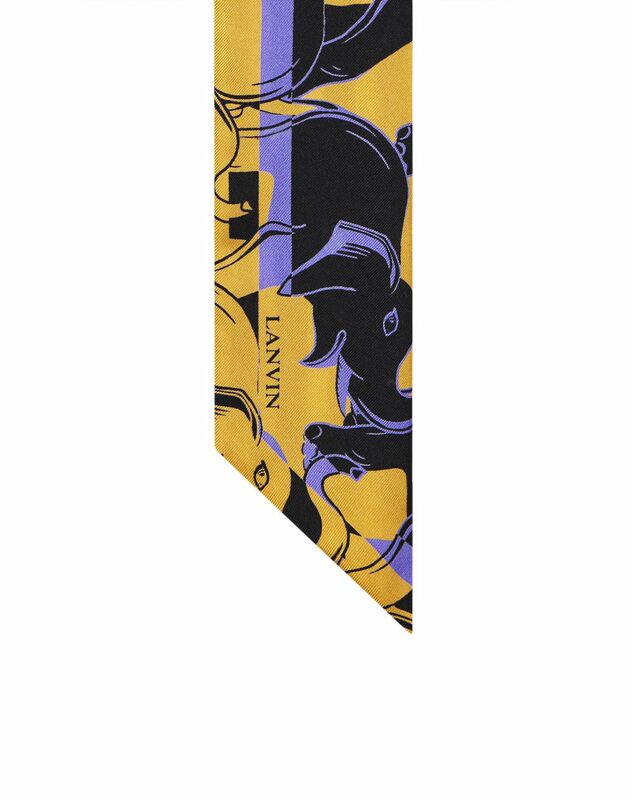 Dark purple silk weave bandana with "Elephant" print and "Lanvin" logo. This silk bandana features the "Elephant" print, a key theme this season, which leaves the brand’s mark on this piece. 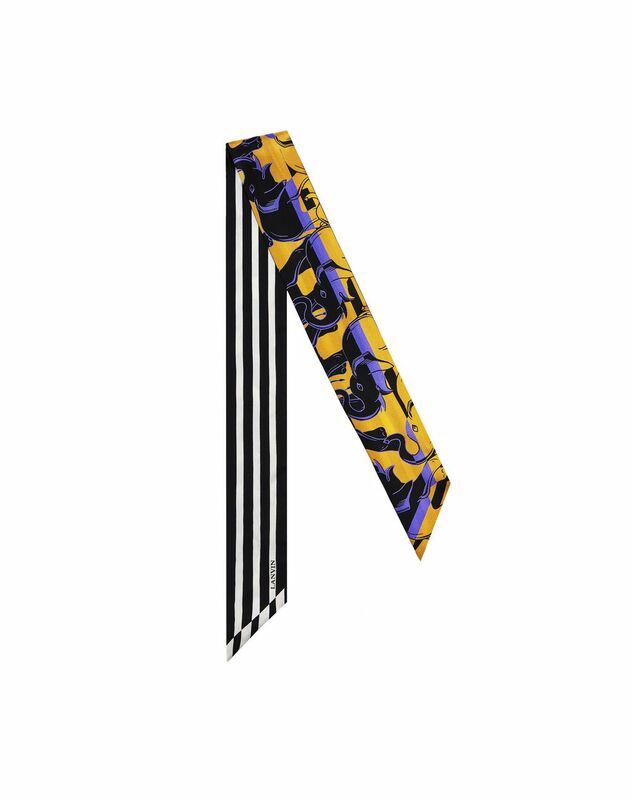 The soft material combined with an exquisite graphic motif make it the perfect accessory to enhance any outfit. Worn around the neck or in the hair, its cut allows for multiple options that look both modern and elegant. Main material: 100% silk weave. 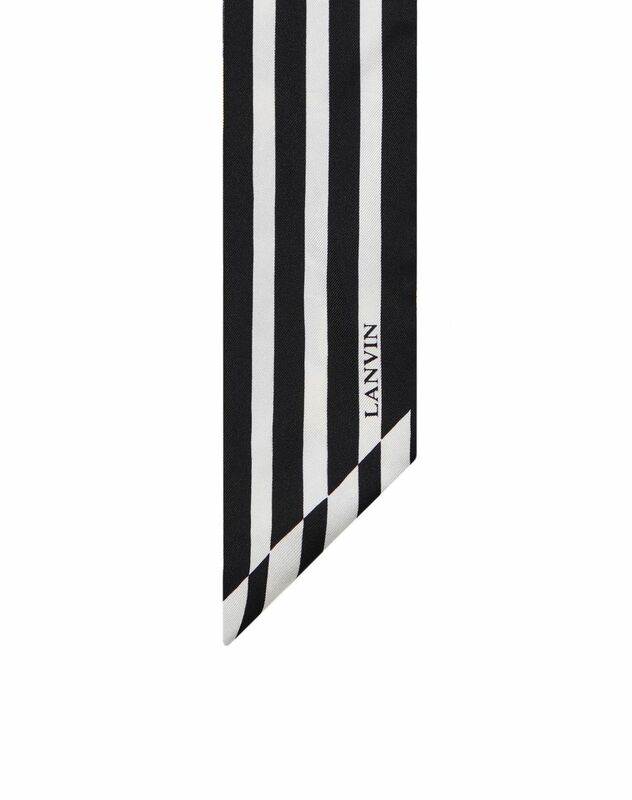 Dimensions: 2” x 39.4” Made in Italy.